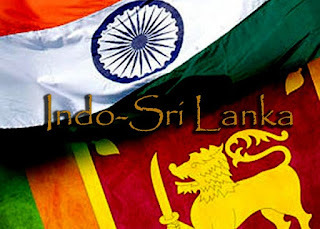 NEW DELHI: The Economic and Technical Cooperation Agreement (ETCA) between India and Sri Lanka will be signed by year end that aims to attract investment in the $500 billion economy, encompassing Tamil Nadu, Karnataka, Andhra Pradesh, Telengana and Kerala. The Prime Minister Narendra Modi and my self have agreed on this,” said Ranil Wickremesinghe, Prime Minister of Sri Lanka, speaking at the India Economic Summit organized by World Economic Forum along with Confederation of Indian Industry (CII). He pointed that the five fastest growing southern states have population of 250 million and a combined GDP of $400 billion. With addition of Sri Lanka’s 22 million population and $80 economy the GDP in the sub-region is a $500 billion economy. “That is Sweden (economy)…imagine what it would be if we (India and Sri Lanka) work together,” said Wickremesinghe. The free trade agreement (FTA) between India and SriLanka will be expanded to beyond trading of goods and services, to investment and technology cooperation. “Asia will bail out the world (from economic downturn) if we are allowed to write the rules…else we create our own system,” said Wickremesinghe. He said the FTA with Singapore and Indonesia by India and by Sri Lanka along with ETCA will make a strong regional economic power. The Sri Lankan PM also proposed to bring in Indonesia and Malaysia and the BIMSTEC countries. “The whole area around the Bay of Bengal as region of economic cooperation…the growth is here,” said Wickremesinghe.